TUESDAY, March 21, 2017 (HealthDay News) -- TV ads have helped spur a boom in testosterone treatments, convincing many men that they need hormone replacement therapy, a new study suggests. In places where testosterone therapy ads ran, researchers discovered increases in testing for low T, initiation of testosterone replacement in new patients, and testosterone treatment without proper testing to see if hormone levels were abnormally low. "We found that each advertisement aired was associated with new use, new testing and new use without recent baseline tests," said lead author J. Bradley Layton, a research assistant professor of epidemiology with the University of North Carolina's Gillings School of Global Public Health. Testosterone replacement therapy experienced a boom in recent years, with the number of patients leaping from 1.3 million in 2009 to 2.3 million in 2013, according to the U.S. Food and Drug Administration. 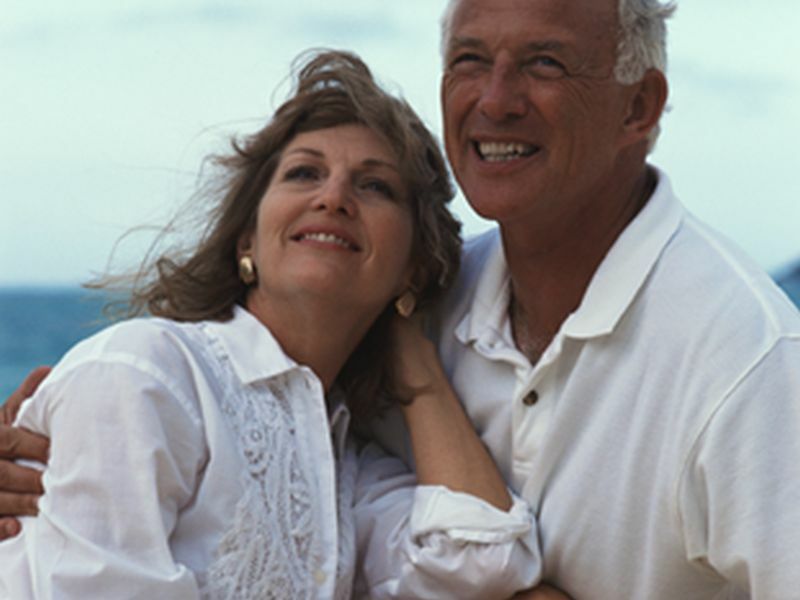 About 70 percent of men prescribed testosterone are between the ages of 40 and 64. Layton and his colleagues suspected that a rash of direct-to-consumer TV ads regarding the effects of low testosterone might have been behind the increased interest in male hormone therapy. "There had been some very large and quick increases in testosterone use in the United States, and we noted that much of it had been in men with really unclear reasons for using testosterone," Layton said. "We found that many of them didn't have the guideline-recommended baseline tests and that many of them had normal testosterone levels." To examine a potential link, the researchers examined the ratings of these advertisements in 75 market areas across the United States, and compared them to commercial insurance claims for testosterone treatment. The intensity of "low T" advertising varied by geographic region and time, with the highest intensity seen in the southeastern United States and with months ranging from no ad exposures to an average of 13.6 exposures per household, researchers discovered. They further found that about 1 million out of the 17.2 million men with private insurance in those markets had themselves tested for low testosterone, while more than 280,000 started testosterone treatment between 2009 and 2013. By linking the two facts, researchers concluded that each advertisement that aired caused a subtle, significant and cumulative increase in testosterone therapy. "We found that each advertisement was associated with about a 0.6 percent increase, which doesn't sound like that much, but some of these areas had 200 advertisement exposures over the time period," Layton said. "Cumulatively, it really leads to some pretty substantial increases in testosterone testing and use." Industry-funded ads that provided a general warning about the effects of "low T" appear to have been even more effective than ads hawking specific testosterone products, Layton added. Researchers observed about a 1 percent increase in testosterone therapy for every ad, about twice as strong as that observed for specific products like testosterone gel. The FDA originally approved testosterone therapies to treat a specific medical condition called hypogonadism, Layton said. Men with this condition don't produce enough testosterone, usually due to a glandular disruption or some other illness. Many men now take or are prescribed testosterone for a normal age-related drops in their testosterone levels or for vague symptoms like lack of vitality or sexual dysfunction that may or may not be related to low testosterone, he said. Testosterone therapy can be pricey, said Dr. Richard Kravitz, an internist with the University of California, Davis Health System and director of the UC Center Sacramento. For example, the testosterone gel Axiron can cost about $630 a month. However, Layton and Kravitz noted that insurance companies continue to cover low testosterone treatment, although it's unclear how much coverage has tightened in recent years. Doctors are concerned that such use could lead to dire health consequences, said Dr. Robert Courgi, an endocrinologist at Northwell Health's Southside Hospital in Bay Shore, N.Y.
"The use of testosterone without appropriate testing can be devastating," Courgi said. "Testosterone abuse can lead to heart disease and liver cancer. At one time, estrogen use was extremely popular until it was linked with heart disease. Now history repeats itself with testosterone rather than estrogen." Testosterone treatment can improve sexual function in some men, but won't do much to improve overall vitality, physical function or mental ability, according to recent findings from a series of federally funded trials on testosterone replacement. The clinical trials also reported that arterial plaque increased significantly more in men using testosterone therapy, raising their future risk of heart attack or stroke. "It is still not clear whether the benefits of treatment outweigh the risks in those who are not clearly testosterone-deficient but who may still 'feel better' on testosterone therapy," said Dr. Minisha Sood, an endocrinologist with Lenox Hill Hospital in New York City. In the meantime, viewers of TV drug advertisements should "realize these are primarily created for promotional purposes," Kravitz said. "They're not really educational materials. You should go in with open eyes and understand the commercial may not be presenting a balanced portrayal." The new study was published March 21 in the Journal of the American Medical Association.